Describe and illustrate how the flow-related enhancement effect produces bright blood in images. 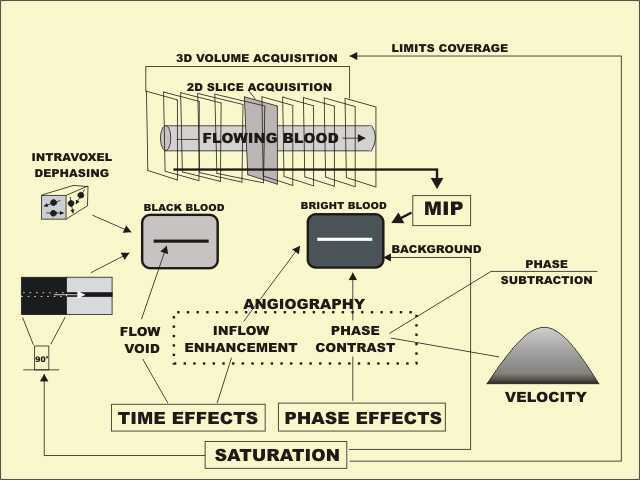 Describe and illustrate how the flow-void effect produces bright blood in images. Describe and illustrate how the technique of selective saturation is used to produces bright blood in images. Describe the concept of inter-voxel phase and explain it's significance in MR imaging. Describe the concept of intra-voxel phase and explain it's significance in MR imaging. Give a general explanation of why both inter-voxel and intra-voxel dephasing occurs in flowing blood. 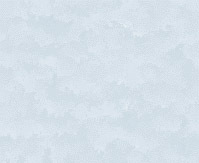 Describe the technique of flow compensation and when it might be used in MR imaging. Briefly describe the process of phase imaging and the characteristic of flowing blood that is displayed in the image. Name three specific imaging methods that can be used to produce angiography images with MRI. Describe and illustrate the general concept of phase contrast angiography and how it produces images of flowing blood. Describe and illustrate the general concept of phase subtraction as used in phase contrast angiography. Describe and illustrate the significance and use of the "set velocity" protocol factor used in phase contrast angiography. Describe and illustrate the general method of in-flow contrast angiography and how it produces bright-blood images. Describe and illustrate the technique of a 3-D volume acquisition for MR angiograms. Explain the advantages and disadvantages of the 3-D volume acquisition method for MR angiograms. Describe and illustrate the technique of a 2-D slice acquisition for MR angiograms. Explain the advantages and disadvantages of the 2-D slice acquisition method for MR angiograms. Describe the technique of maximum intensity projection (MIP) and how it is used in MR angiography. Briefly describe the contrast enhanced angiography method and some of its advantages over the in-flow and phase methods.